Headphones, earbuds, in-ear headphones, cans — whatever you call them, headphones have become all the rage in the consumer electronics world over the last decade, especially with the continued wave of portable music players. We've found bargains on a bevy of brands: Sennheiser, Apple, Denon, and more. If you're looking for other models, check out our other headphone deals. Is It Worth It? : Listen up! These Editors' Choice headphones are specifically engineered to create an optimal listening environment. The earpads have been designed to match a wide range of head sizes, and leave virtually no gap between the head and the band, which helps listeners enjoy superb clarity, even amidst noisy conditions. They also feature a gold-plated 3.5mm plug, 42mm drivers, 153-gram net weight, and more. Discount: 50% off via coupon code "DNEWS50"
Is It Worth It? : Want to shop around for the right kind of headphone? Make sure you do it at World Wide Stereo, where you'll save 50% on select Sennheiser earbud, circumaural, and behind-the-neck headphones. Prices start at $10, but we like the Sennheiser PMX90 Stereo Headphones for $24.97 (a low by $4) after the coupon code. 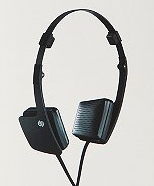 These feature an ergonomic neckband, 3.5mm plug, 20Hz to 20kHz frequency response, and more. A 2-year warranty applies. Is It Worth It? : For the price of about four songs on iTunes, you can own these Apple in-ear headphones, which feature a 3.5mm audio jack. At this price, you can leave a set in your bag, at the office, at home, and in the car for under $20, and never be without sound again! Is It Worth It? : Want great sound quality and to make a fashion statement? These over-the-ear headphones from Urban Outfitters are the way to go. They're available in Black (pictured) and Red and will set you back a penny under $50. But to snag free shipping, we recommend spending that extra copper and pick up an item to pad your order to $50 proper. (This KidRobot figure is $2.99.) These headphones feature a frequency response of 20Hz to 20kHz, integrated microphone, 3.5mm plug, and more. Is It Worth It? : Rah, rah, rah, and just in time for football season! These headphones feature the team colors and officially licensed NFL logos (New Orleans Saints pictured), and you can choose from more than 25 teams in all. If you're team's having a bad day on the field, these mini-earbuds come in handy for drowning your sorrows in some feel-good music ... or your team's fight song, if you prefer.